Unknown photographer, circa 1890. These images were taken with a vest camera. Designed by R.D. Gray in 1885, the vest camera was a disc form fitted behind a rigid false shirt front with a lens that, disguised as a button, passed through the front. 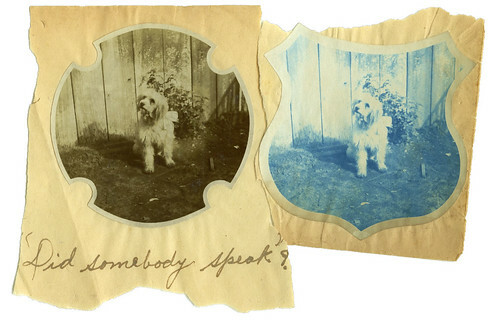 Six exposures could be made on the glass plate, rotated by a knob which also passed through the front. About the circular pictures: I had quite forgotten that it was the nature of the lens to form a circle and in 1967 my only lens was a short Angulon intended for a small camera. I’d been given an old Eastman View 8×10 and brought the two together out of impatience and curiosity. After a while, I recognized the wonderful exaggeration near the edge. I began to use the camera with the lens, but for several years I would trim these prints so that the circle was disguised. Eventually I realized that such a lens contributed to a particular description of space and that the circle itself was already a powerful form. Accepting the entire circle, what the camera had made, was important to me. It involved recognition of the inherent nature of things. I had set out to describe the world with my domain, to live a quality with things. Enrichment, I saw, involves a willingness to accept a changing vision of the nature of things – which is to say, reality. Often I had thought that things teach me what to do. Now I would prefer to say: As things reach us what we already are, we gain a vision of the world. 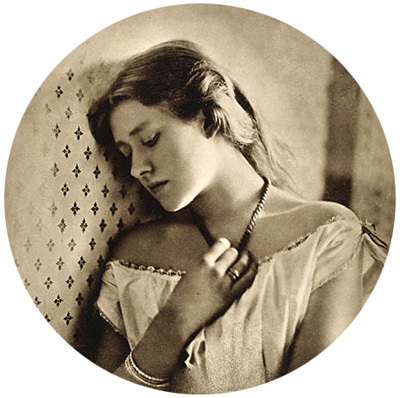 I’m looking for more circular photographs. Please send names, links or anything else that comes to mind. When I first started trying to use my 8×10, I didn’t have an appropriate lens, so the closest thing that was fast enough was only made to cover 5×7. I’ve only used it a handful of times, but I plan to eventually do wet-plate with it. I suppose they qualify as circular as much as Thomas Ruff’s image above does. Hi. I’m not a photographer but I enjoy reading your blog. As a birdwatcher, those round images immediately strike me as looking like the view through binoculars or a telescope. And since digital cameras have been around, birders have started using them to take pictures through their telescopes—digiscoping—and you do sometimes get pictures like this or this. (Obviously you could take pictures through a telescope with a film camera, but for various reasons it’s a lot less convenient). I’m slightly wary of posting those links, because I make no claims for them as photographs; they’re only taken for fun, with a compact camera handheld to the eyepiece of my old birding scope. But they give you the idea. I wonder how the circular format would affect how you compose the scene. Oddly enough I supposed it would be similar to shooting with the square format (6×6), which tends to force one to compose very differently than for 6×7, 135 etc. On another note one thing I could never figure out is why the eyepiece on most viewfinders is square. Your eye is round and looking through some cameras feels like you are trying fit a round peg (your eye) in a square hole. Nikon figured that out a long time ago, as most of their viewfinders have a round entry. Obviously the area masking the 135 frame is rectangular, but the round eyepiece on something like an F3 just feels right. Hum, I wouldn’t try to reduce photography to human vision. I mean, our visual system is extremely good at what it does, but works in a fairly different way to a camera. If we were able to take pictures through our eyeballs we would end up with lots of problems that would actually produce crap results: a) only the central 2 degrees or so of the image would be pretty sharp, as the fovea is quite reduced in size b) the further you go from the centre, less colour the image would have due to lack of cones. I mean, we experience the world as colorful, sharp, rich, but this is mostly due to the fact that we constantly move our eyes through it. What gets to the back of our retina is actually relatively poor (excepting the fovea) and focused on a relatively enclosed distance. I would argue that a photograph gives you a better experience of seeing than what gets through your eyeball. If you take Soth’s Utopia pic you have the whole room and all the characters in focus. If you were there, that’s what you would experience. And you wouldn’t realize that you have to move your eyes all over the room to actually see the people. If you tried to force your photography to work like your eyeballs, you would be forced to have only one character in focus and sharp, and everything else almost black and white. Instead of this, the photograph gives you a fairly good representation of reality. Also, if you wanted to make ‘realistic images’, they wouldn’t be circular, but more eliptic, as the visual field has more extension horizontally than vertically. And what about the two eyeball issue? 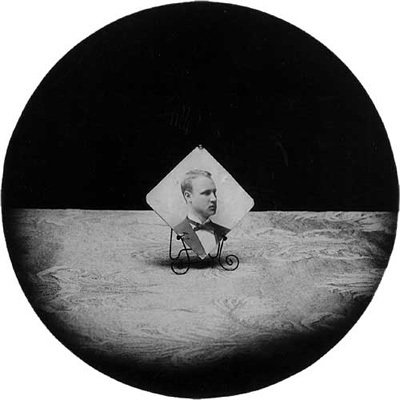 I have a small set of circular images. The fish bowl I use for the setup creates a nice circle by itself. For me, there’s something satisfying about seeing the edges of a photograph, and even more so seeing them circular. It makes me want to get in inside and take a closer look. 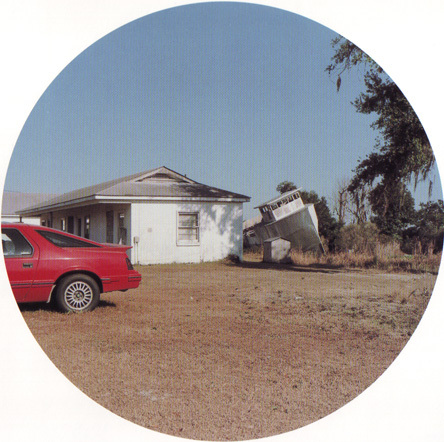 Mike Chisholm, who left a post on Fridays poem has some great circular shots, he posted under mike c should anyone want to look..
Twin Palms also put out a book on Henry P. Boss’ photos of the Mississippi. 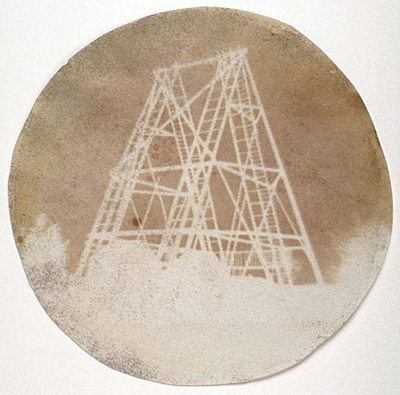 Many of the images are circular cyanotypes. Spencer Finch made an interesting sculpture to represent the shape of his field of vision as he looked at the night sky, an experience comparable to the one Alec is speaking of. p.s. Sorry I e-mailed you about this earlier Alec – I was confused. Regular non circular ones are real nice too. my first real interest in photography came from looking at records. 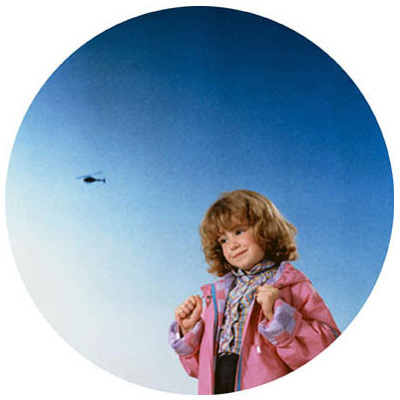 the obvious here being the picture disc but also many times a picture will appear on the insert label ( gets fixed to the record in the center) these are always screenprinted so if the source material is photo it always has a dot pattern. but with the picture disc its actually a photo of some sort in there. here is a link to one but really just type “picture disc” into ebay and its endless. the glam era was big into these. the metal dudes like them too. if you search you can find it dating pretty far back, early johny cash and such. sadly i have never seen any by blue note or factory. i wonder? The fisheye lens was quite popular in the late sixties and 70’s. 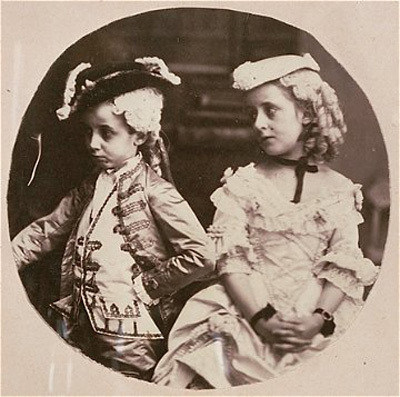 A classic example is the work of Thomas Weir (Bob’s brother) such as the portrait on the back of the Dead’s album Anthem of the sun. (this predates pictue discs – chemicals provide the special effects back then). The impoverished student technique to approximate this was to purchase an apartment door viewer and mount it in a lenscap – it worked ok.
Helen Chadwick has done a few different series of circular images–The Bad Blooms and some more anatomical stuff. 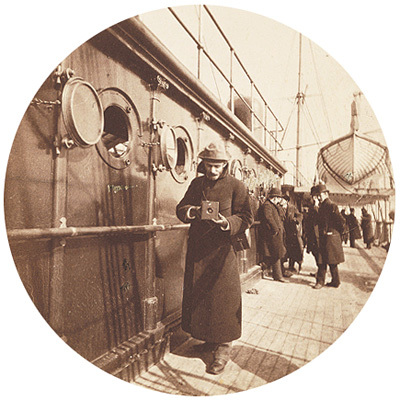 Josiah Hawes, (one half of famous duo Southworth and Hawes) toke some really great circle pictures of downtown Boston, after he parted ways with Southworth. The Boston Athenaeum has a bunch, they are quite good – all i could find online was this book. 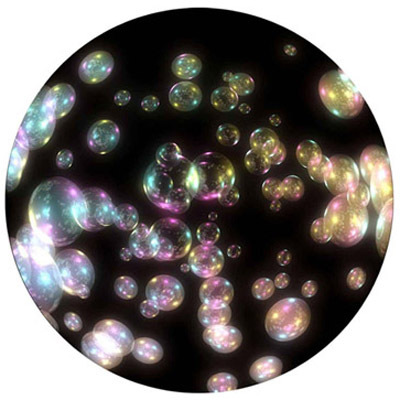 We see not in complete circular vision but our two orbs combine the scene creating a long rectangular shape with sides that fall off into infinity. Perhaps this is why film frames became somewhat square or rectangle. As much as I adore circles they seem incomplete as a print and unsatisfactory – limiting almost. Please look at Joni Karanka’s entry in the beginning of this thread. Shout out to you. Arthur Tress’s new book, Planets, from Lodima Press are all circular images made by photographing with his lens shade on backwards. 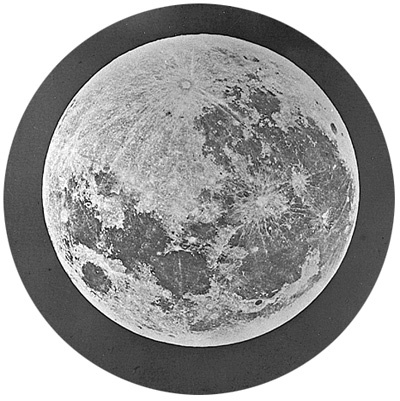 has anyone ever removed the ground glass on the back of their camera and w/ their eye focused on the image circle, kind of have to focus in space. squint. 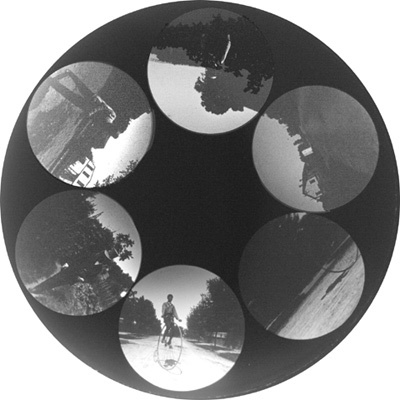 re your blog entry about circular photographs, you should know about the late jim pomeroy’s work. he was a photographer/performer and a philosopher in wack job’s clothing. at the time of his death he was working with a perversely convoluted set-up involving two facing convex mirrors with a camera in between, the entire contraption connected to a long pole (this description may or may not be correct, as it’s been a while since i’ve thought about it, and i don’t know if i understood it to begin with. but it was great fun in a trippy sort of way trying to figure out the pictorial space). Who needs to take circular pictures when you can make circular frames? 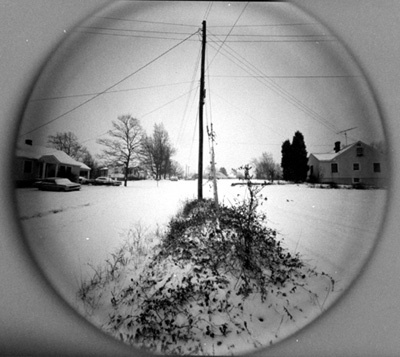 Not quite circular, but photographer Michelle Bates celebrates the rounded vignettes of Holga images by hand-cutting negative carriers to follow the irregular curves of the edges. She then trims her prints to accentuate the shapes. She recently published a book about the joy of playing with Plastic Cameras. You can see some examples of her work, and listen to an audio interview with Michelle, at (“a href=”http://www.lensculture.com/mbates.html” target=”_blank”>Lens Culture. Don’t know which was the bigger shock, getting a name check on this blog (argh) or seeing Arthur Tress’s Planets work (double argh — a whole set of work goes straight into the “Oh Well” file — same idea, same title, more or less same damn pictures…). A salutory lesson, though: for what it’s worth, I conclude that the “circular image” is a good example of the danger of form driving content: the circle is a shape it’s actually quite hard to see through or past — it insists “planet”, “porthole”, “telescope”, “petri dish”, etc. (heart-shaped pictures would be a bigger challenge, I suppose). 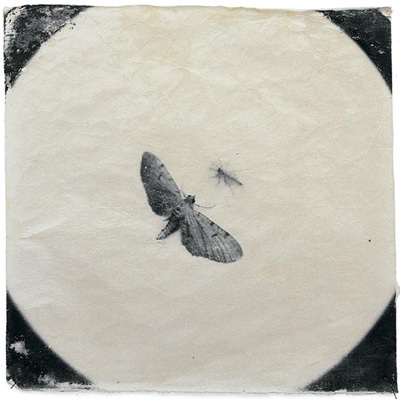 Perhaps that’s why the best circular photographs are often trimmed off, top and bottom, as Emmet Gowin’s usually were. Suggesting the circle may be more powerful than actually showing it. Dan Winters did a series focusing on Downtown LA called “La Ciudad”. 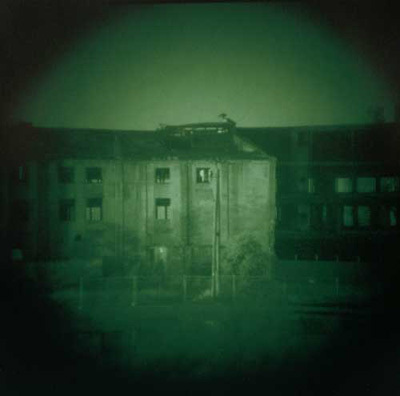 He shot 4×5 with a circular mask in the inside the camera. The project was shot on 4×5 Tmax 100 glass plates and hand developed in pyro. Your blog software cut off the html I included in the last post. Here is the link to Dan Winters La Ciudad. Thanks Alec for the interesting post and Michael as well for the PRC/Thomas Gustainis mention above (http://www.bu.edu/prc/gustainis.htm). Once again, schtick trumps intelligence, content and awareness. Is your vision really circular? Mine doesn’t seem to have any distnct boundary. I found some circular photos in a magazine taken by a Chinese photographer named Xu Yong. I can’t find any on the web but I thought it was worth noting.